Christmas, 2009. I receive five ASM issues as a gift–not a volume, but single issues purchased from a comic store. 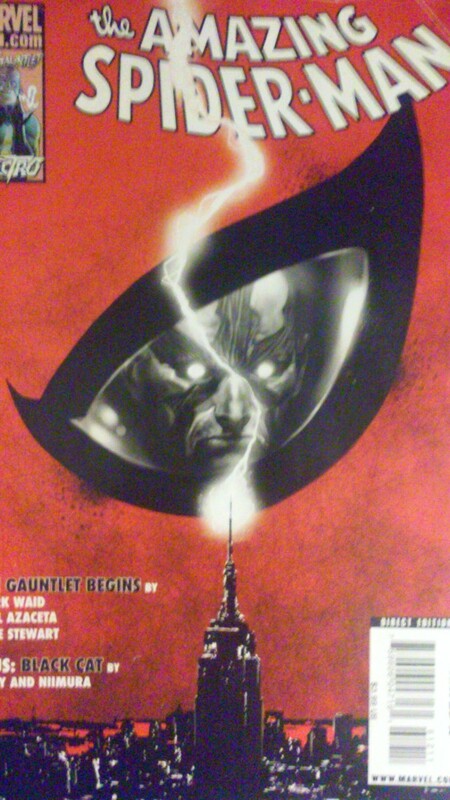 These issues cover the Electro and Sandman stories in The Gauntlet. My dad knew how much I love villains—my favorite issue of ASM, to this day, is still Amazing Spider-Man Annual #1, where he goes toe-to-toe with the Sinister Six for the first time—and knew this story covered a lot of them. At the time, I didn’t collect comics, and my knowledge of ASM post-Civil War was fairly spotty. 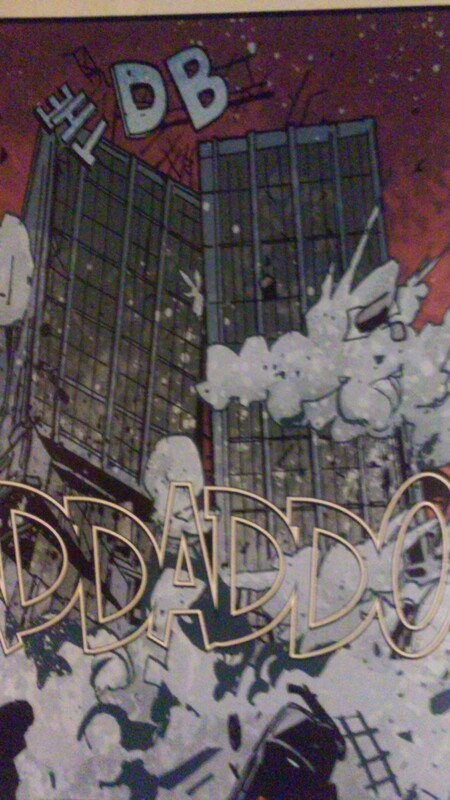 I had read some of the Straczynski run but had never delved into the Brand New Day era. That all changed here. For the next several months, I started buying Gauntlet issues until it stopped being a financially solvent idea. 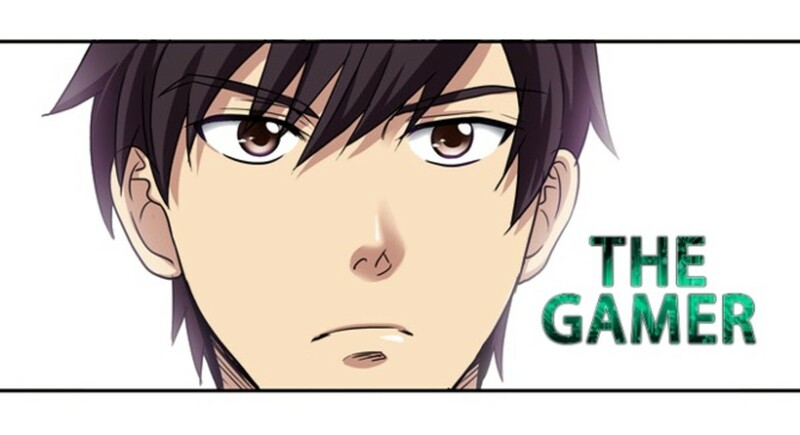 It was kinda difficult for a high school kid with no income other than a monthly allowance. In the years since, I’ve collected the rest, and so we can explore this story a piece at a time. This is the story that propelled my quest to get all 700 ASM issues, though I didn’t know that would happen at the time. All I could do was enjoy the tales to be told in the issues I periodically bought, and what a story it is. The Web-Heads—a team now consisting of Bob Gale (though he doesn’t write anything), Joe Kelly, Dan Slott, Fred Van Lente, Mark Waid, and Zeb Wells—take Spidey on a heck of a dark journey as he faces multiple old foes with facelifts, culminating in the Kravinoffs’ ultimate plan, which we will see down the road. Having brought in so few of Spidey’s old rogues gallery—with the exceptions of brief appearances by Shocker, Venom, Norman Osborn, Doc Ock, and the Chameleon—in exchange for introducing new adversaries, the team of writers now delve into bringing classic foes into the Brand New Day fold, and these are great reintroductions. This whole arc is well-written, deftly plotted, and beautifully illustrated, marking the pinnacle of what this team was capable of achieving on this book. All the months of planning lead to here, all the subplots have built up to this point, and it’s a staggering achievement by comic book standards. The amount of foresight is incredible, and the payoff is so completely worth it on multiple levels. But enough gushing. Let’s move on. 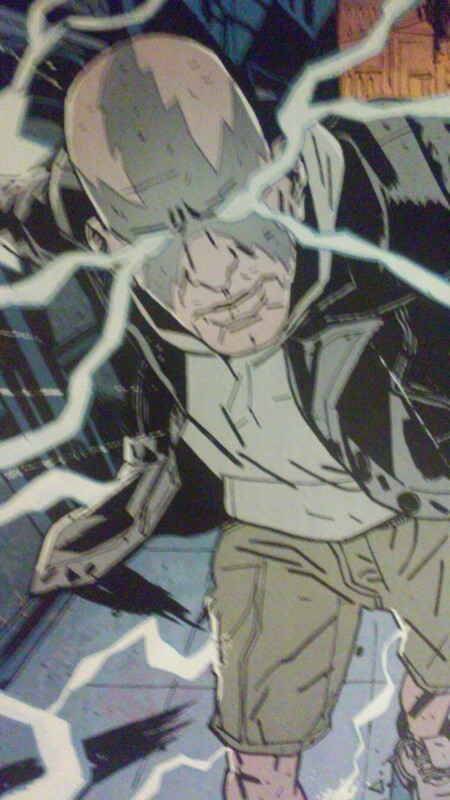 Mark Waid and Paul Azaceta take first shift and bring in Max Dillon, the electricity-powered villain known as Electro. Electro’s been around for a long time, being one of the first villains Spidey ever faced and has been a mainstay supervillain for the last fifty years. Waid and Azaceta work together to give him a “recharge,” we’ll say, opening the first issue through Electro’s perspective and using it to describe how down he’s feeling. His money’s gone with the recession, and his powers are on the fritz. While you never feel bad for Dillon here, he’s written as a human being should be. 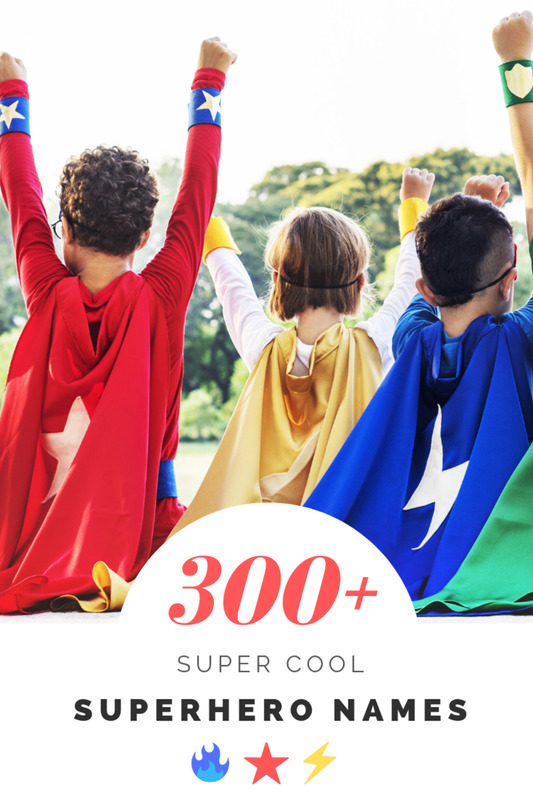 He wants connection, relationships, but with his powers as wacky as they are—sparking off at random intervals—it’s not possible. He turns to the Mad Thinker for help and conceives a plan to raise enough money to secure the Thinker’s help. 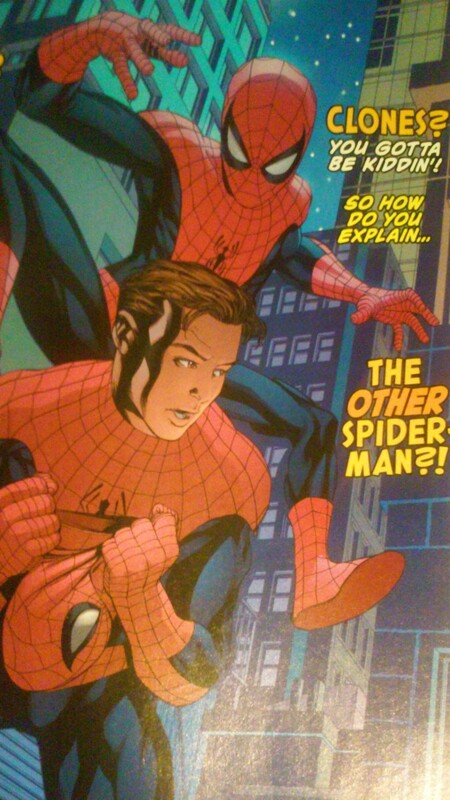 Waid moves on to Spidey, who’s dealing with his typical slew of problems. Crazy friends, mediocre job, financial problems…oh, and the ire of New Yorkers everywhere. Waid’s Spidey has a very classic feel to him, a hero trying to juggle the stresses of superpowered life as well as his normal one as Peter Parker. 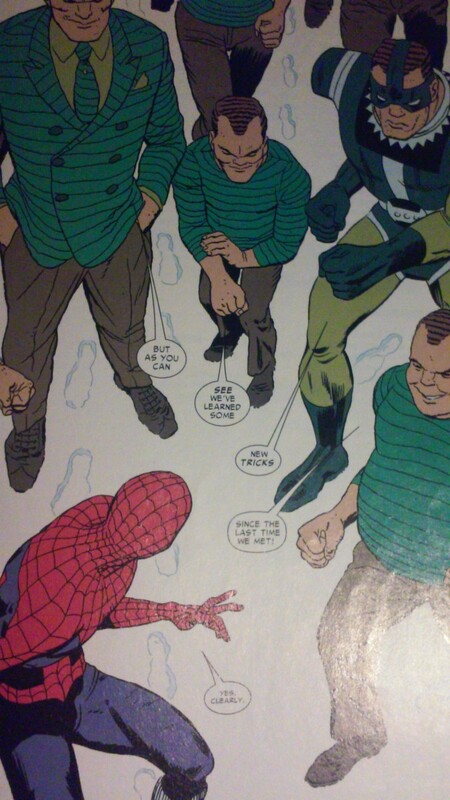 Like writers such as Joe Kelly and Dan Slott, Waid also offers a lot in the humor department, his Spidey a fast-talking quipster ready with a subtle comeback. He also addresses a small mystery from previous issues. 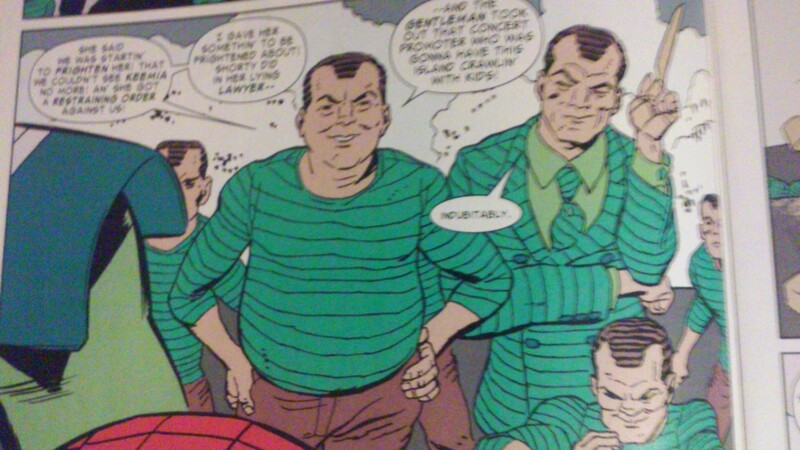 In ASM 600, Peter apparently got drunk over the sight of MJ’s sudden return at his Aunt May’s wedding. His roommate Michelle—who Waid earlier introduced to the series—clarifies that Peter only thought he got drunk and that Michelle was plying him with ginger ale. It’s an amusing revelation, one that restores Peter’s honor and shows some good banter between him and a side character Waid enjoys writing. Electro comes into the picture soon enough, as he makes an attempt to turn people against Dexter Bennet and the DB! It’s been a while since we’ve seen Bennet, but we get the feeling he’s become more of crotchety jerk, and Electro takes small sparks and fans them into a flame of anger and vindication towards the man, inspiring protests. Later on, we see him threatening Bennet for the money, proving his care for the blue collar worker is all a sham (even though Dillon used to be one himself). Spidey intervenes, naturally, and gets beaten Dillon and almost torn apart by the crowds, enraged that Spidey would protect a jerk like Bennet. This won’t be the last time Electro and Spidey duel, however. Spidey escapes, and Electro gets the funds for the Thinker by threatening the DB! publisher. 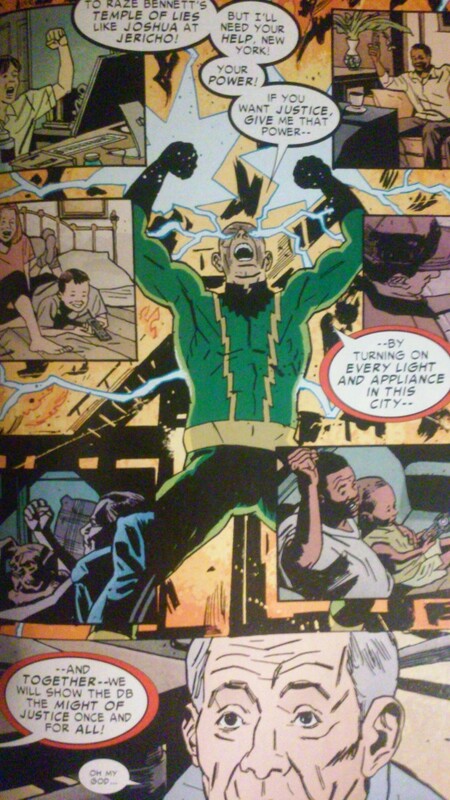 Chasing his foe down, Spidey interferes with an experiment to stabilize Electro’s powers, and this ends up with becoming more powerful, capable of transforming into living current that can access outlets and electronic equipment, an ability bolstered with the people of New York show their loyalty to him by turning on their appliances. Thus, Waid introduces us to the first big theme of The Gauntlet. 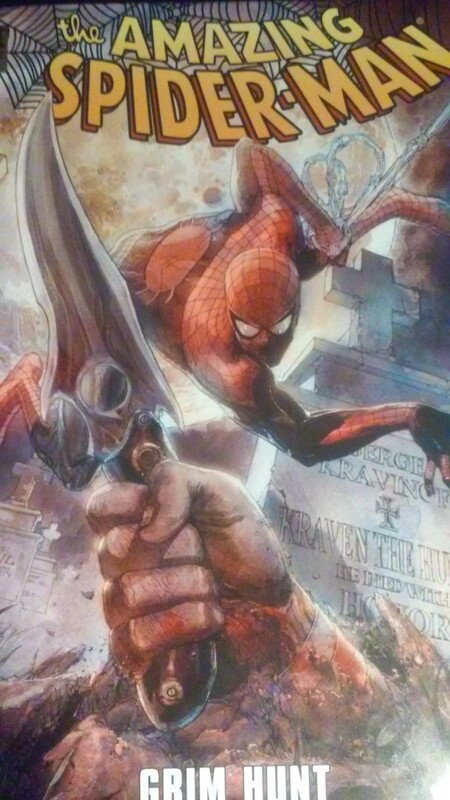 Not only are we getting classic Spidey foes, but they’re getting revamped. Powers will change, identities will change, purposes will change. 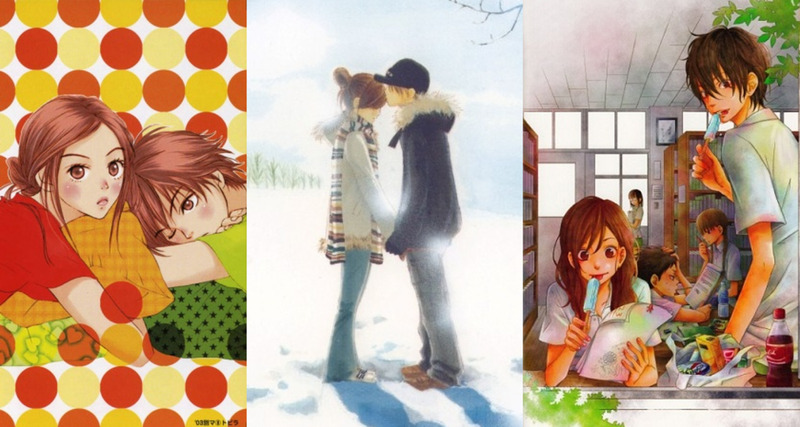 Typically, I don’t like when writers play with the characters; I like them staying the same. However, increasing a bad guy’s power is not a bad change at all. It’s fun, makes him more of a threat, and feels like a natural continuation of his abilities. It also isn’t some sudden change that drastically alters the status quo. More changes are still to come, though. Spidey and Electro have one final fight, this time at the DB! building as the villain tries to use his newfound power surge to take out Bennet once and for all. It’s a pretty awesome showdown between the two, and Azaceta’s artwork goes a lot to add detail and action to the page. The battle culminates in Bennet getting crippled…and the collapse of the DB! 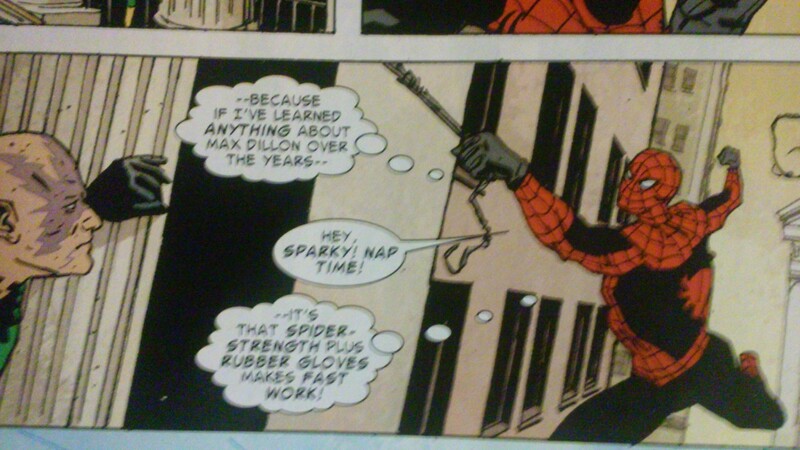 We’re not even finished with The Gauntlet’s first story, and it’s already sending shockwaves through Spidey’s life. The DB!—the Daily Bugle—has been there since issue one. 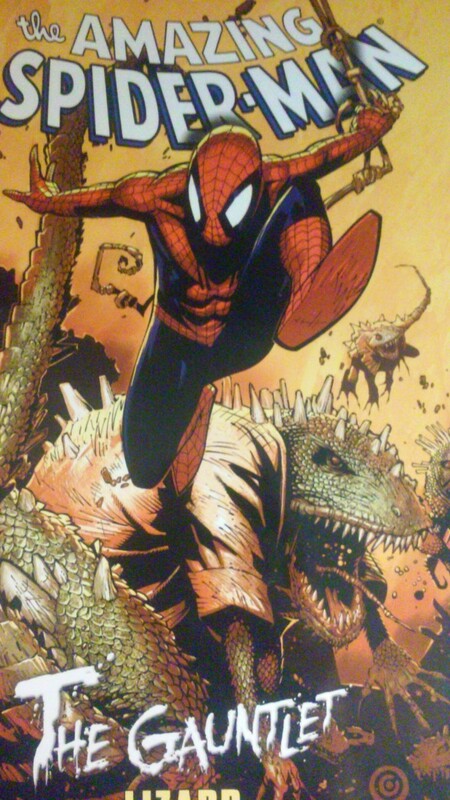 It’s been a second home and place of employment for Peter Parker; it’s introduced us to J. Jonah Jameson, Robbie Robertson, Betty Brant, and Ned Leeds; it’s survived attacks by supervillains and Skrulls; it was featured prominently within Sam Raimi’s Spider-Man film trilogy; it’s essentially a character on its own. To have such an iconic Spidey location suddenly topple is huge. It means the writers aren’t afraid to mess with Spidey and their readers, not necessarily in a way that angers them, but in a way that promises major changes and a rough road for Spidey ahead. It’s a great plot beat, and both Waid and Azaceta add a good level of that emotion to the story. Fred van Lante even uses it as the starting point for his story, which gives us a fresh look at old Spidey foe the Sandman. It’s good to see that van Lente is actually penning something of note here. While his three-part “Red-Headed Stranger” story reintroduced us to the Chameleon and MJ, he’s been typically sidelined with single issue fuller stories. To have him contribute with the main Gauntlet story is great. J. Jonah Jameson—former publisher of the Bugle and mayor of New York—and his friend Robbie Robertson discuss the loss of the building. There’s a nice feeling of impermanence in their conversation; they laugh about the memories, but mourn the loss. Death will also factor largely into The Gauntlet, so what better way to begin than felling an iconic location? “Death” becomes even more of an issue as Peter Parker witnesses the arrest of his CSI friend Carlie Cooper, held as a suspect for three different murder charges after the murder weapons under her care mysteriously disappear. 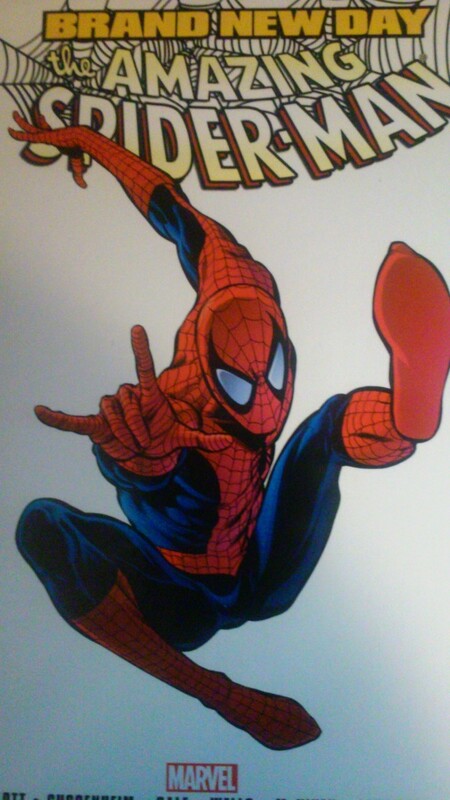 Spidey uses clues to follow up on the victims, discovering one woman is not only the mother of a young girl named Keemia who disappeared but also a huge fan of supervillains, even going to the point of writing letters to some of them in prison. The plot thickens like spider-webbing. Van Lente, like Waid, introduces a really intriguing idea here. Sandman, a guy with complete control over his physical body, is capable of splitting his mind like his does his molecular structure with his hand powers. While a bit cheesy, it makes Sandman a much freakier villain. He’s able to adopt different personalities, some of whom decided to murder Keemia’s mom and others who would’ve hindered Sandman keeping the girl. While Keemia isn’t his biological daughter, he saw her enough when she and her mom visited him in prison that a loving fatherly attitude towards her cropped up. At least, as loving as a supervillain can be. 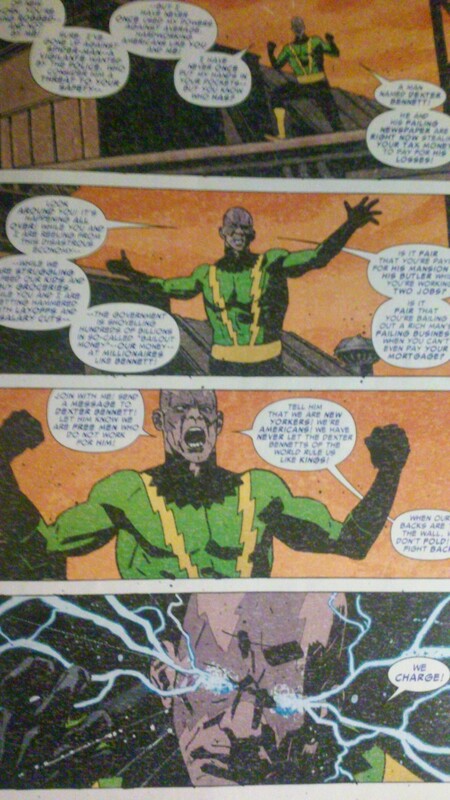 Again, like Electro, this makes Sandman a terrifying villain. With help from artist Javier Pulido, Waid is able to show that Sandman is incredibly dangerous, molding his body into all kinds of different weapons and forms to try to kill Spidey with. His dedication to Keemia is also really interesting, considering this is a well-known supervillain who loves her dearly. It’s a different sort of motivation than guys like Electro, who want money, and guys like Norman Osborn, who crave power. It’s familial, a motivation we all understand, but at the same time we get that he’s a dangerous supervillain and that leaving Keemia under his supervision is a bad idea. Spidey agrees with and eventually escapes the island with the girl. The tale then takes a rather sad, but poignant road, as Keemia is taken by child services, with her mother gone and her grandmother not in a position to care for the young girl. Fortunately, Carlie Cooper is acquitted, with signs of a deeper friendship growing between her and Peter. Both Waid and van Lente do a really, really fantastic job opening up The Gauntlet for readers. Azaceta and Pulido both help tremendously, with styles that slightly mirror Marcos Martin’s work, which I’ll never complain about. While the artists don’t do much on the book, their styles are enjoyable to look over and fitting for the styles they tell. Already, we’ve seen two of Spidey’s oldest enemies get facelifts in their powers, making them darker and more powerful than they once were. Already, we get the feeling of death, hardship, and defeat for Spidey—the collapse of the Bugle, Bennet being crippled, Carlie being falsely accused, Keemia going into the foster care system—a series of incidents that will only continue. As fantastic as they tales are, they get dark pretty quick. This truly is a “gauntlet” for our hero to run through.